Oh no! I can’t believe it has been nearly a month since I last did a blog post! Some how the weeks have flown by and blog posts have slipped further down the “To Do” list. So sorry, but so happy to be back! I now have my computer back – YAY! But I lost everything – all clipart, fonts, files, photos, schoolwork… a very good lesson for me to back up much more often!!! (AND you too all my readers!) Luckily I had a couple of things that were important on a USB drive, so they are safe. It has taken me a while to download things again, set up some files and get my computer life organized again. Not to mention load all my favourite fonts back on! Unfortunately though, I need to add another page to my 2D Shape mobile (I forgot that not everyone calls a trapezium a trapezium = oops trapezoid) and just need to add a page and change one word – but I can’t, because I lost my file!!!! My brother has been put to work on that one! We have also moved out of the shed and into the house! ANOTHER YAY! The house is beautiful – although for your air conditioner to be broken in the middle of summer is not fun! Hopefully fixed this week…… And now I have internet again YAY!!! 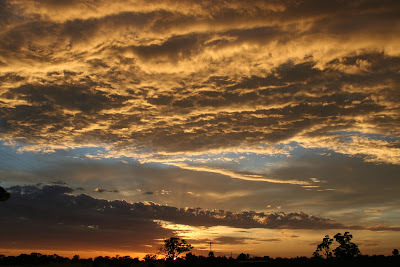 One of the advantages of living in a shed in the middle of a vineyard is you get photos like this one – uninterrupted! 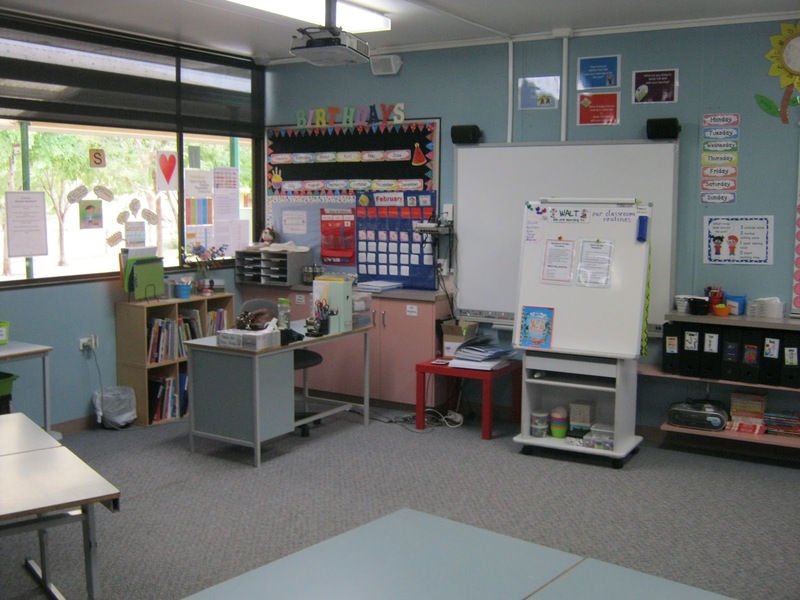 Here are a couple of snapshots of my classroom – it is still a little more plain than I would like, but going over the top didn’t seem to happen in my new school…. It is at least clean and tidy! 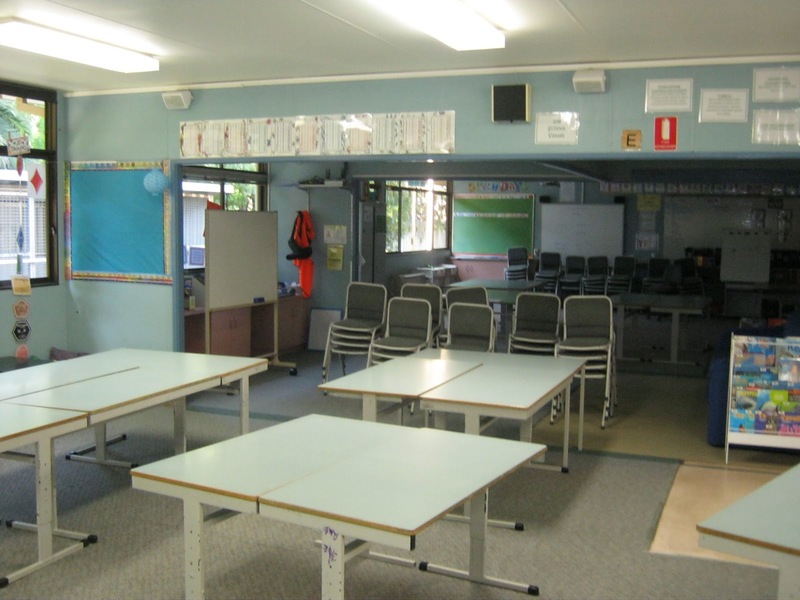 My new school uses team teaching - 2 teachers in a large room with 53 kids (well that's how many we have!). 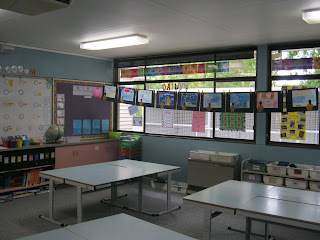 So this is looking through to the other end of the classroom. I am still getting my head around it all! My desk area. 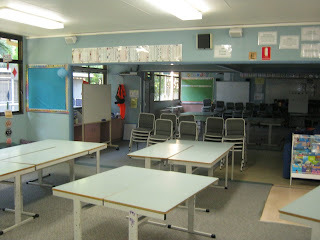 I am leaving a lot more of my resources at home at this school - I just don't seem to have any room! I LOVE these trolleys. 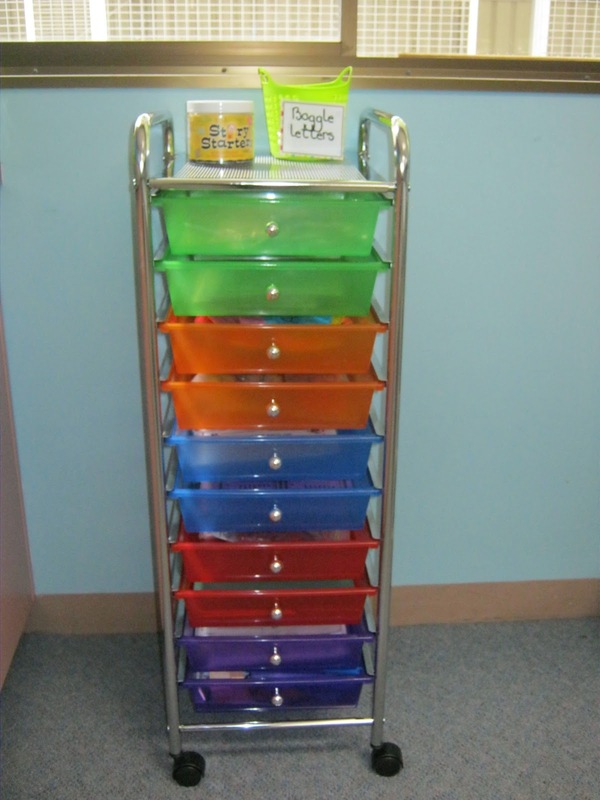 I bought them at Officeworks and have one for my Maths resources and one for my Literacy resources. 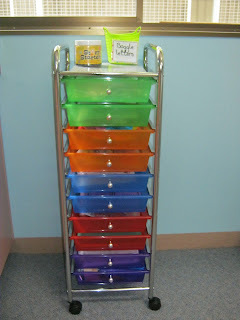 This was a great activity we did as soon as school started. 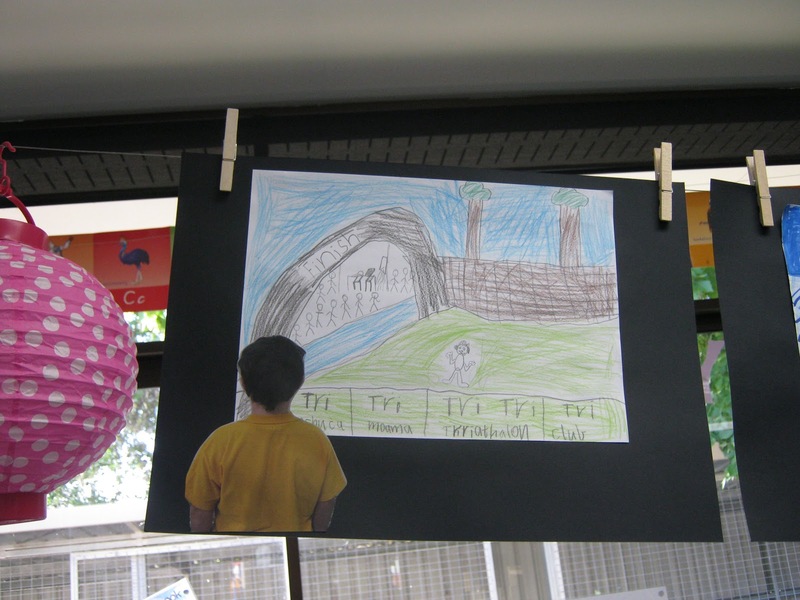 The children drew a picture of themselves looking back at their favourite memory from their school holidays (plus some holiday writing on the back). Then we took a picture of the back of each children and stuck it on, they are looking back on their holidays! Now I promise to make at least one blog post a day for the next week, lets see how I go with that one! 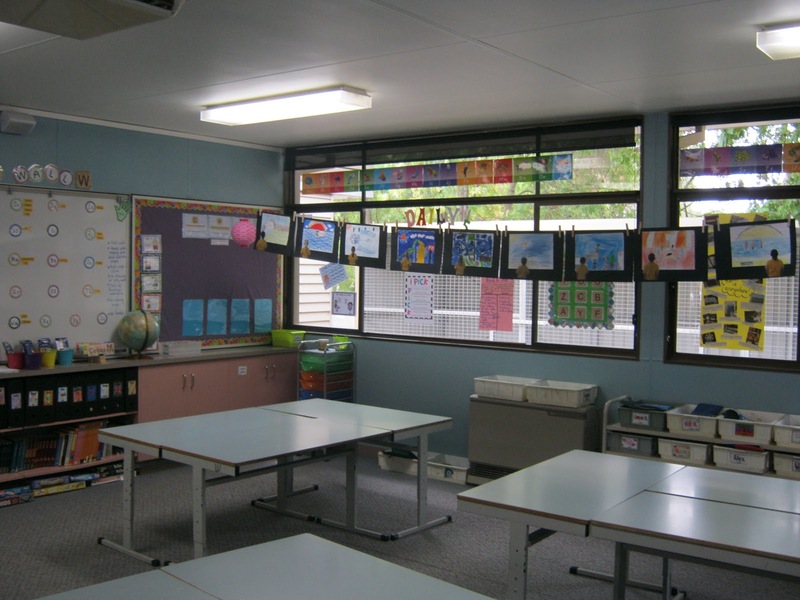 Your classroom looks lovely, Alison! And I love the 'memory' pictures - what a clever idea. Aww thanks Stef! We have had PT Interviews this week and they look great in the classroom!